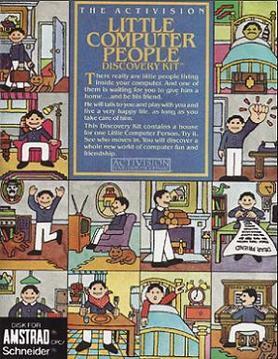 Little Computer People, also called House-on-a-Disk, is a life simulation game released in 1985 by Activision for the Commodore 64, Sinclair ZX Spectrum, Amstrad CPC, Atari ST and Apple II. An Amiga version was released in 1987. Two Japanese versions were also released in 1987, a Family Computer Disk System version, published in Japan by DOG (a subsidiary of Square), and a PC-8801 version.